If you have it, you know the feeling all too well – that burning, tight tingle of inflamed, sensitized skin. Sensitive skin affects 35 million Americans and as an esthetician, I have treated clients suffering with symptoms ranging from mild irritation to blisters and peeling skin. Surprisingly, “sensitive skin” is not actually a condition but a term used to describe skin that is reactive to either topical or household products or environmental factors such as temperature, wind or humidity changes. 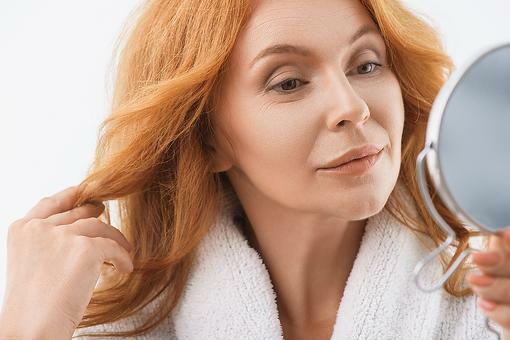 Finding your cure can require a bit of investigative work, but here are some common triggers and recommendations to get you started on the path to calmer, more comfortable skin. Common Triggers: Many people have underlying sensitivities to gluten, dairy or sugar. Unfortunately, so many things that we consume (both orally and topically) contain these ingredients. Try doing an elimination diet, first topically, then orally by eliminating all things that come in contact with your skin for two weeks. Then slowly start reintroducing them one at a time. Do the same with your diet. Keep in mind that spicy food and red wine are known to aggravate skin conditions such as rosacea, so those are good ones to omit right away. With some time and patience, you should be able to identify the triggers for your redness or breakouts. Use a gentle cleanser! Many cleansers are simply too aggressive and strip skin of its natural protective barrier leaving your face tight and dry. “Squeaky clean” should only refer to your kitchen floor, not your face. Look for a creamy formula that won’t strip your skin of moisture, but still effectively removes makeup and impurities. 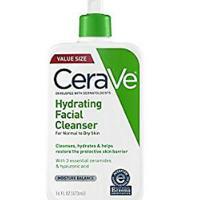 CeraVe’s Hydrating Facial Cleanser features ceramides and hyaluronic acid so your skin will feel clean and fresh but not compromised, tight or dry. Add healthy fats to your everyday diet. These may help decrease inflammation in your whole body including your skin. Try adding one or two of these to your diet to feel nourished from the inside out: Avocados, cheese, whole eggs, nuts, olive oil, full-fat yogurt and fish, namely salmon, trout, herring and mackerel. These foods contain body nourishing ingredients like omega-3 fatty acids, protein, vitamin E and antioxidants that help detox your body. With your skin is your largest organ, it will thank you via revealing healthier, calmer skin. 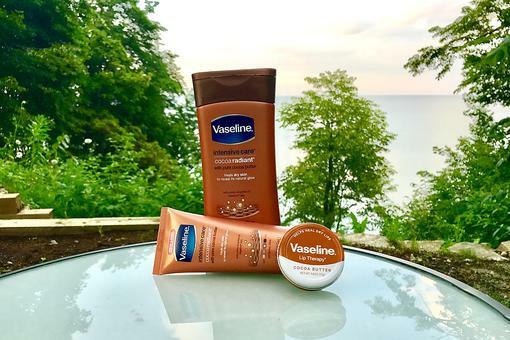 Adjust your moisturizer for the season. 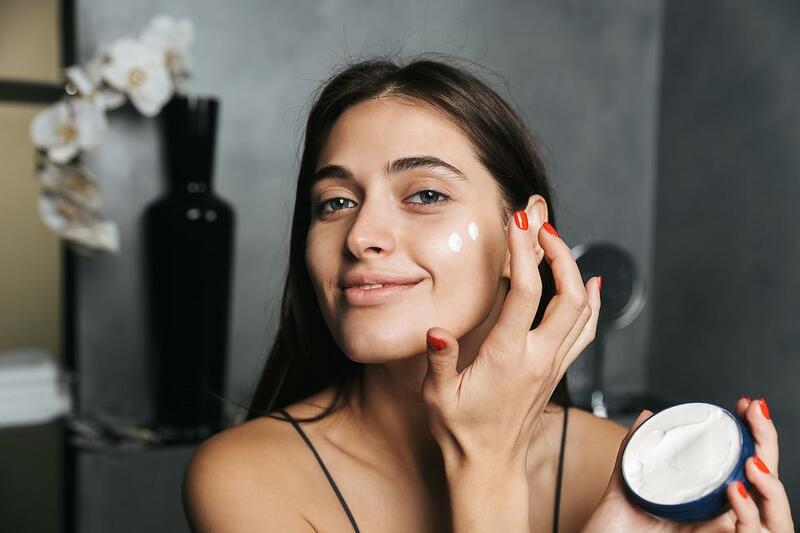 Chances are if your moisturizer worked great in June but by December, you’re feeling dry, it likely means that your skin’s water/oil balance is off and you’re suffering dehydration. 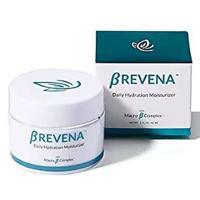 One product I highly recommend is BREVENA’s Daily Hydration Moisturizer. Their Macro B Complex® technology, calms and immediately restores hydration. This technology got its start in burn care, so they know a thing or two about inflammation. The entire BREVENA line rebuilds the barrier function of the skin helping it look and feel. 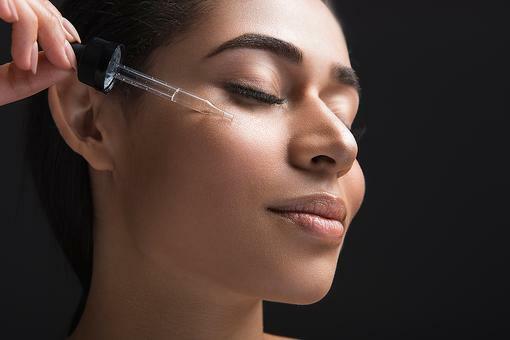 If you want to give your skin a little extra love, I always recommend adding a serum to my clients’ skin care regimen. 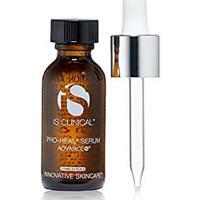 iS Clinical Pro-Heal Serum Advance+ is an antioxidant-rich serum that also has Olive Leaf extract which provides anti-inflammatory benefits to compromised or blemish prone skin. Zinc sulfate reduces inflammation, kojic acid prevents blemishes and vitamins E and A condition, nourish and neutralize free radicals. It’s worth the splurge. Lastly, try keeping a journal to help you detect the source of your flare-ups. Perhaps you’ll discover that a stressful event or new laundry detergent is to blame. I didn’t realize you should look for gluten in skincare products. Great tip, thanks! 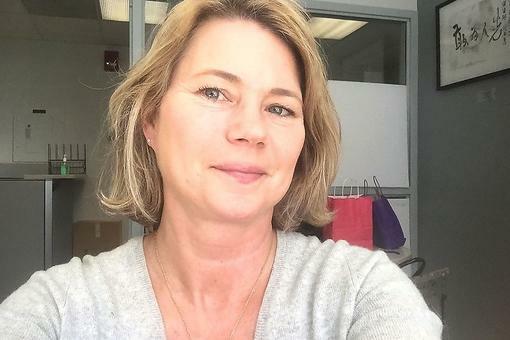 Thanks for these great tips, Susannah Courteau ! Welcome to our community of writers! Wonderful tips! I had no idea there were so many triggers to consider! Thank you for sharing! This is fascinating, Susannah Courteau ! I am gluten free and had not thought about looking for it in my skincare products, or other triggers as well. Thank you for these insights. Welcome to our 30Seconds tribe. Look forward to more tips from you! Sensitive Skin: How to Treat It Right & 3 Gentle Products to Try!